The Landlord-tenant law has been put into action to govern the rental of commercial and residential property. Whether you are a landlord or a tenant. it is important to understand the law, so that you can benefit from it and protect yourself from being discriminated against or during national and state emergencies. 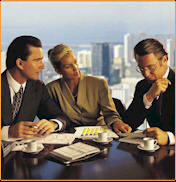 The landlord tenant agreement is normally embodied into a lease. The relationship between the landlord and the tenant is based on duties that are prescribed by statutory law, the common law or the individual lease. Also, the legal relationship between a landlord and a tenant is grounded in both contract and property law. Unless the lease states otherwise, there is an assumption that the tenant has a duty to pay rent. The tenant has a property interest in the land for a given period of time that may be definite or indefinite. This is an implied covenant that is basic to all leases. Applicable for the tenant, this covenant has been set in place to ensure the tenant that his possession will not be disturbed by someone with a superior legal title to the land – including the landlord. A breach of the covenant of quiet enjoyment may be actual or constructive. A constructive eviction occurs when the landlord causes the premises to become uninhabitable. The purpose of housing codes is to ensure that residential rental units were habitable at the time of rental and during the tenancy. Depending on the state, the violations of housing code may lead to administrative action or to the tenant being allowed to actually withhold rent in some cases. The habitability of a residential rental unit is also ensured by warranties of habitability which are prescribed by common and/or statutory law. A breach of the warranty of habitability or a covenant within the lease may constitute constructive eviction, allow the tenant to withhold rent, repair the problem and deduct the cost from the rent, or recover damages. The landlord tenant law has various clauses that have been put in place to protect the interests of the landlords and the tenants. If you feel that you are being discriminated against or are facing forced eviction, then you may be able to benefit from the agreement too. At such a time, the advice and support of experts including attorneys can go a long way in helping you work through problems.